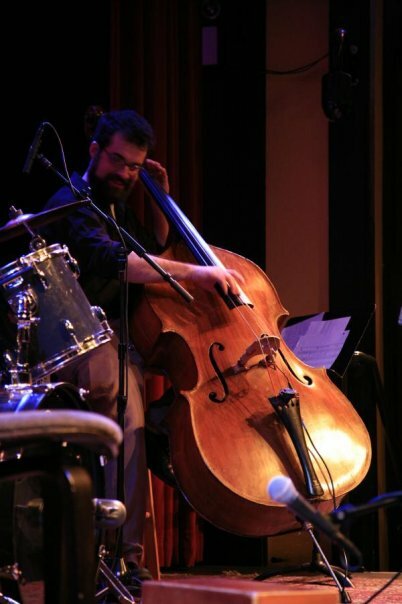 Chad Greenwald is a bass player that has played extensively in every genre of popular music today. He has shared the stage with The Roots, Keane, Talib Kweli, Flogging Molly, Days of the New, Ligion, Day of Fire, Tim Reynolds, and has become friends with Styx, Bad Company, Ian Hunter, Les Paul, Mens Rea, Rick Finch of KC and the Sunshine Band, Bobaflex, Still Remains, The Exies, Lostprophets, American Head Charge and Bone Thugs ‘N’ Harmony. Chad plays or has played with several groups including: Dirty Martini, Matias Rocha y Nueva Trova, This Day Forever, Exit City, Scar Co., Shotgun Wedding, The Bourbon Kings, Sean Benjamin Band, Black, Brown and Jew, Trombones Plus, Magia Tropical, Joe Colburn Big Band, The Soul Good Band, Westerville Symphony, Central Ohio Symphony Orchestra, the Ohio State University Orchestra, the Ohio State University Wind Symphony, Peace Lutheran Church Band, Russ Drums Trio and continues to freelance around the Ohio area.